GoEvnts.com selected among the finalists of Manthan Award 2015 and was among 57 finalists of 420 nominations in the E-News and Journalism category. 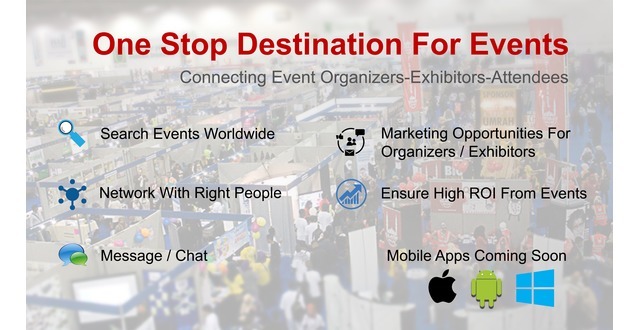 Goevnts.com is a multi-platform media which is in business of creating and distributing media content obsessively profiling international business events like trade shows, exhibitions and conferences to global audience. We are open to all kinds of business events and all kinds of industries. we provide a media platform for events, exhibitors and enthusiasts for help them to improve their ROI. 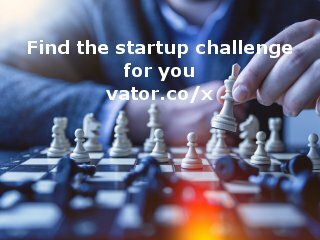 As freemium model, we partner with business events as media partner and promote their events by news publishing and help our partners to build their brand in event industry. We also have premium services for event management companies & exhibitors where we support our client with paid editorials, pre-event, live-event, post-event news and updates, product reviews, exhibitor reviews, media interviews which help our clients get a branding and reach their target audience effectively. 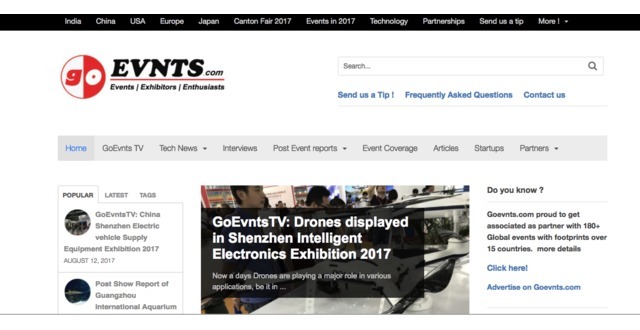 Goevnts provides a event web hosting service provides as sub-domain for the event, partner event news will be published on the homepage for better viewership and better conversions. Goevnts.com added a press mention.